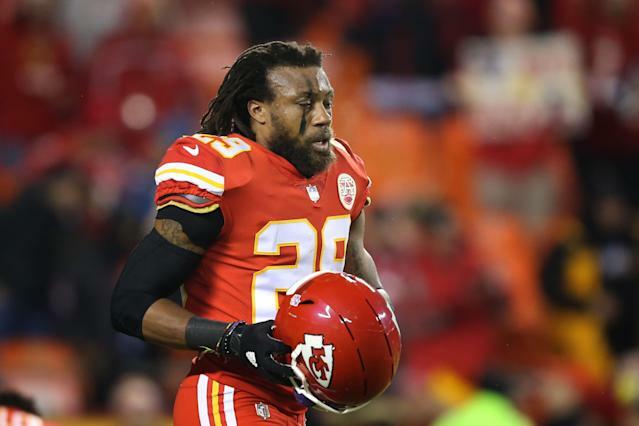 The Kansas City Chiefs continued to reshape their defense on Wednesday, as they released star safety Eric Berry. The club released Berry with a post-June 1 designation, a source told Yahoo Sports, meaning the Chiefs will save approximately $9.5 million on the salary cap this year and $5.5 million on the cap in 2020. Berry intends to play football this season, a source told Yahoo Sports. By releasing Berry, the Chiefs don’t have to pay him an additional $7.25 million that would have become guaranteed by Friday. Berry’s release will also result in $6.9 million in dead money, but the move, in addition to the recent trade of Dee Ford, creates a total of $26 million in cap room for the Chiefs to use this offseason. The release of Berry, 30, brings an end to the Kansas City career of one of the team’s most respected leaders of the past decade. The 6-foot, 210-pounder, who was originally the fifth pick in the 2010 NFL draft out of Tennessee, has been named All-Pro three times and to the Pro Bowl five times during his nine-year tenure with the team. Berry’s last productive season came in 2016, when he started all 16 games and recorded four interceptions, nine passes defensed and 77 tackles — the last of his three All-Pro seasons. Berry, who had just returned from cancer two seasons earlier, then signed a six-year, $78 million contract in the offseason with $29 million guaranteed at signing. Berry has been plagued by injury issues since, with a torn Achilles limiting him to one game in 2017 and a lingering heel deformity limiting him to 11 tackles in two regular-season games in 2018. Berry returned for the Chiefs’ AFC championship game against the New England Patriots, and he recorded six tackles. Earlier this week, the Chiefs agreed to a three-year, $42 million deal with free-agent safety Tyrann Mathieu, a 26-year-old who made the Pro Bowl and All-Pro teams in 2015. The addition of Mathieu cleared the way for the Chiefs to release Berry and continue the remodeling of a defense that recently saw the release of Justin Houston and the trade of Ford.